Well, we are in the Summer term already! Our topic this half term is 'What the Romans did for us', so we started the half term off with our exciting trip to the Roman Museum and bath ruins in Ribchester. All the children had a super time and learnt lots of interesting things about the Romans in preparation for our topic - check out some of the photographs in our photo gallery! Can I please remind you that children need PE kits in school at all times - there are too many children who often do not have PE kit in school which means they are sometimes missing out on a fantastic opportunity to join in with the football sessions delivered by an ex professional footballer. Children have their PE lesson on a Monday afternoon so please make sure all children have PE kit in school. Swimming has now been changed to a Wednesday afternoon - can I again remind you that all children (including the boys) must wear a swimming cap. This week in English the children have been focusing on creating their own playscript based on the one we have been working with as a class. The children have produced some super playscripts and I am very proud of their efforts - well done 3C! In Maths, we have been looking at the grid method for multiplication and have been using estimation to check our answers. In our PE lesson with Coach Lewis we are focusing on football and this week we have been looking in particular at the skill of passing and receiving the ball. Our guided reading in 3C this week is focused on poetry and in particular performing poetry to and audience. 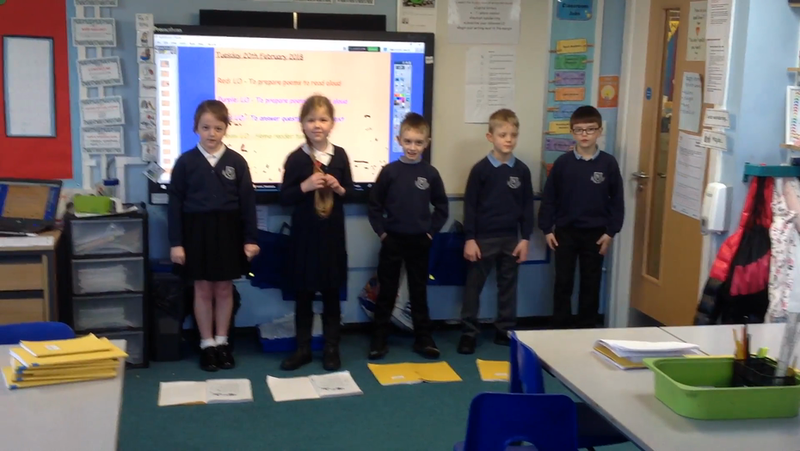 Here is red group's performance of 'A Storm' from Tuesday morning. Red group's performance of their poem called 'A Storm'. Well done Red group for a super performance! 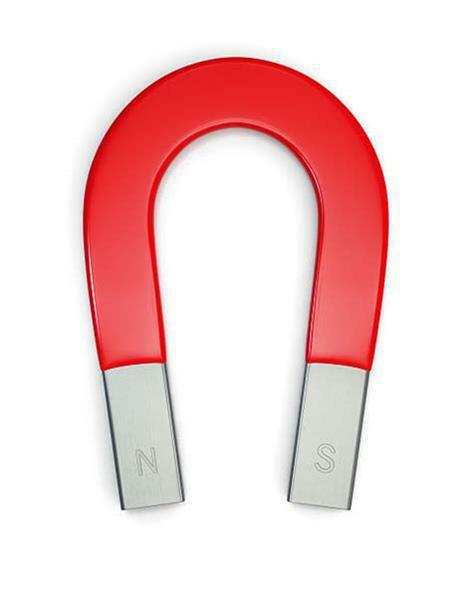 How are magnets useful in everyday life? What important jobs do magnets carry out? Can you create an informative poster/leaflet/report that informs everyone about their uses? Use the links provided below to help you! You may find out more yourself through safe searching on Swiggle. Welcome to 3C's class page! We have had a very busy, fun half term in 3C - I can not believe we are in our last week of our first Spring term already! Please can I just remind you that I am still missing some slips for these trips. The Church visit is free of charge - I just need permission slips returning to school as soon as possible. The trips to Museum of Science and Industry and Ribchester are a total of £11 per child for both, which helps towards the cost of coaches and workshops on the visits. Please return all slips and money to school as soon as possible. Thankyou! Topic: Our topic this half term is 'Rock and Roll' in which we have been learning about the Stoneage throughout our topic lessons. The children have explored what life was like for people in the Stoneage and how life changed from the Paleolithic Age to the Neolithic Age - ask your children about it, they are all experts now! Science: Keeping with our 'Rock and Roll' topic, the children have been investigating the different types of rock and how they are formed. We had a fun afternoon recreating the layers of the Earth in which children made a 'dirty pudding' - by the end of the lesson we had a class full of geologists! Within science the children have also been testing different types of rocks based on their hardness, their ability to float, how they react with acid and their permeability. On that note, sorry about the state of some of the children's uniforms this week - some of them got carried away testing the chalk! English: Our English work this half term has been closely linked to our 'Rock and Roll' topic - we have been studying 'Stig of the Dump' and children have worked hard to write their own innovation. If you'd like to pop in and read your child's story, just catch me after school and you're more than welcome to have a read! Maths: We have covered lots of different aspects of Maths this half term with lots of tricky elements to it. I cannot stress how important it is for children to practise their times tables up to 8x table as this is a huge support across all areas of Maths. I have put a link on our useful websites page for children to use to practise their times tables. PE: Our PE topic this half term is dance. We have been using the book 'Stoneage Boy' to create movements to go with the story - the children have produced some impressive sequences which tell the story of the Stoneage Boy. Can I please remind everyone that swimming kits must be in school every Tuesday for our swimming lesson at Darwen leisure centre. PE kits must also be in school every Monday for our PE lesson. Just a quick note, we will be doing outdoor PE after half term so please arrange for children to have appropriate PE kit in school when we return on Monday 19th February 2018. Homework is given out every Monday and is due in on Friday. Homework is always double sided - one side Maths and one side English. The children's homework is always linked to our class work for the week and helps to consolidate their understanding of our current learning. Home reading is also important for children and I ask for children to read at least 3 times per week and get their reading record signed by an adult who has read with them. Children's reading records are checked daily in class and we now have a new reading reward system in place in our class in which children are rewarded for reaching the 25 books shell, 50 books shell, 75 books shell and the 100 books turtle! We have recently started a new spelling format within class, within which children will have spellings to practice each week but these will be learnt within specific spelling lessons at school so they will not be bringing home a spelling list for this half term until we have settled into the new way we are doing our spelling practice. If you have any questions about anything, please pop in to see me or catch me before or after school.